Original hand painted design on a salvaged glass window. 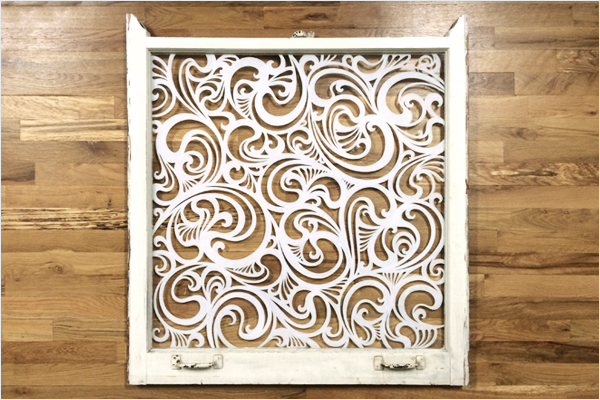 White painted frame. Ready to hang and signed on backside.